Every Encinitas dentistry patient’s mouth provides a cozy home for over 600 types of bacteria. If you are diligent about oral hygiene and have healthy gums, these microbes usually don’t affect your health. However, if you have gum disease, bacteria can enter your bloodstream through your gums and cause problems. Gingivitis is the term for the mild gum disease. At La Costa Dental Excellence, we routinely discover gingivitis in Carlsbad clients who are not even aware they have the condition. 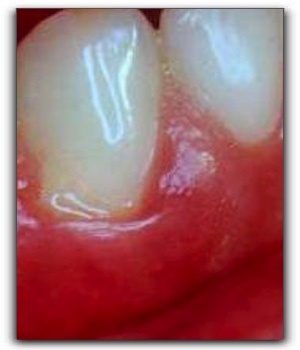 The first signs of gingivitis are swollen, sore gums. It is important for our Encinitas and San Marcos CA dental patients to understand that it is not normal for gums to bleed when they are brushed or flossed. If you haven’t had an oral examination in a while and live in the Encinitas area, call La Costa Dental Excellence at 760-633-3033. Drs. Stephen and Kimberly Dankworth thoroughly examen teeth and gums and take time to discuss the results and recommendations with each Carlsbad dentistry patient. La Costa Dental Excellence is a full-service dental practice at 7730 Rancho Santa Fe Rd Ste 106 in Carlsbad. We provide comprehensive general and cosmetic dentistry for clients who live in Carlsbad and the nearby communities of Carlsbad, Encinitas and San Marcos CA. During your dentist consultation, we can discuss any cosmetic or restorative procedures in which you are interested. Some of the Encinitas procedures that we use to create perfect smiles are porcelain veneers, orthodontics, dental implants and tooth bleaching. Our hygienists are skilled professionals who perform the ultimate in dental deep-cleanings. Oral health and overall health go hand in hand. Schedule a dental consultation today by calling 760-633-3033 or visiting us online at https://www.lacostadentalexcellence.com/.